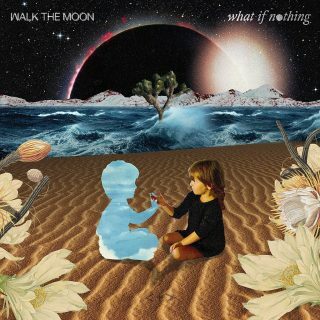 Walk The Moon : What If Nothing album download | Has it Leaked? Walk The Moon, Notoriously known for "Shut Up and Dance" off of their latest sophomore "Talking is Hard" comes from Cincinnati, Ohio with four band members.They are praised for their modern pop sound with influences of rock from bands like Talking Heads. They have just recently released "One Foot" and are set to embark on a tour and are, as you can see, set to come out with a new album in this upcoming November.